Designed to evoke the rotation of a falcon's wing in flight, the elegant Peregrine Winery building was completed in 2003 and has captured the imagination of visitors ever since. Drawing attention for both its design and construction, its stunning use of space and light has won accolades from around the globe. 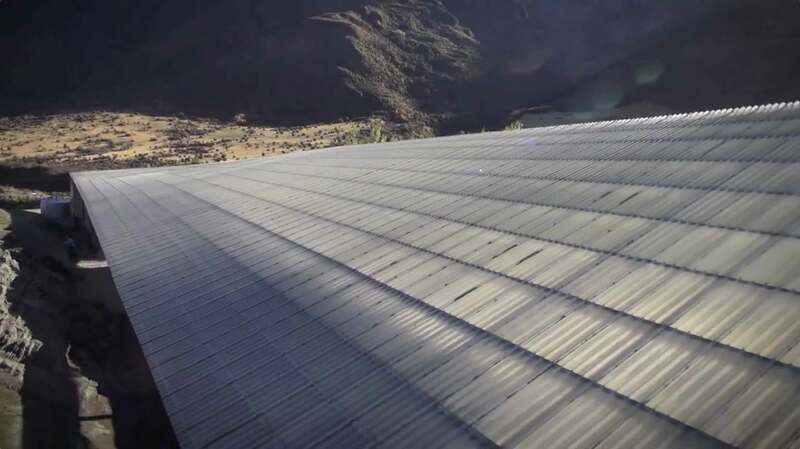 Seeming to rise from the valley floor, the winery's changing roof gradient was inspired by the kinetic rotation of a bird in flight. The use of strong, simple materials mirrors the industrial approach of other rural buildings in the area, establishing a sense of place, while the building itself soars like a blade of light against the rising rock reefs that surround it. The translucent canopy unifies the components of the winery beneath, creating a unique space between the two - a place where our wines can be enjoyed in the presence of the landscape that produced them, with no barriers between ourselves and the natural world. 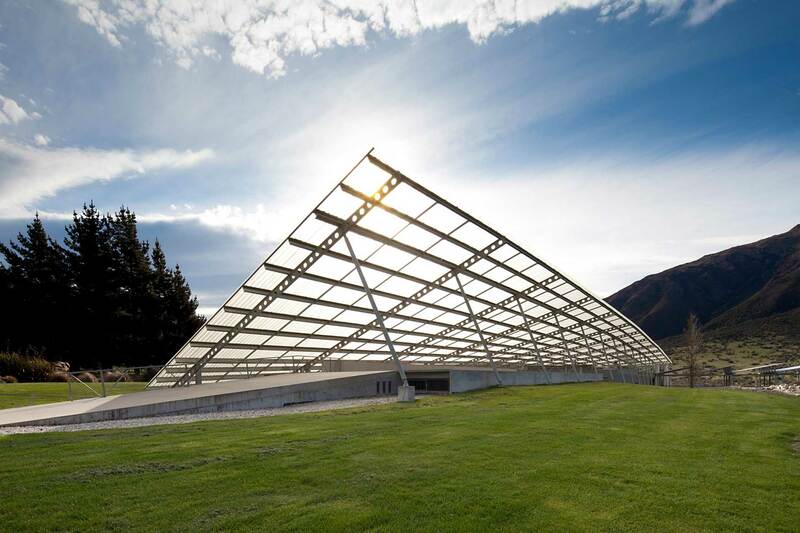 Designed by Wellington's Architecture Workshop, the Peregrine Winery's many awards include the AR+D Emerging Architecture Awards, and the NZ Institute of Architects Supreme Award, as well as recognition from the prestigious London-based Architecture Review. A landmark 'home' for Peregrine to produce world class wine from, the winery building is also a symbol of our ongoing dedication to preserving New Zealand's endangered native bird species.